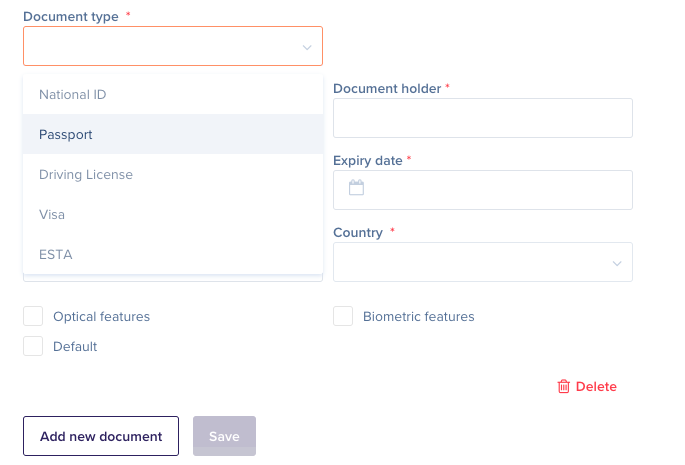 Upon logging into the Rydoo travel platform, you will need to update your personal information before you can start booking trips. 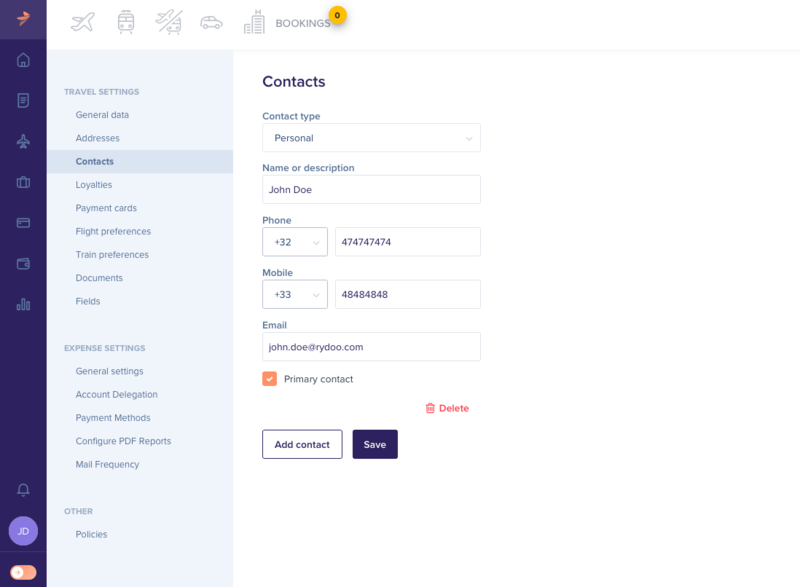 These details are located in the "General data" and "Contacts" sections. To get there, click on the bottom left of your navigation and "User Settings" to view the list of traveler settings. In the "General Data" tab, please review and update your personal details where applicable. In "Contacts" please make sure you include your personal contact details. 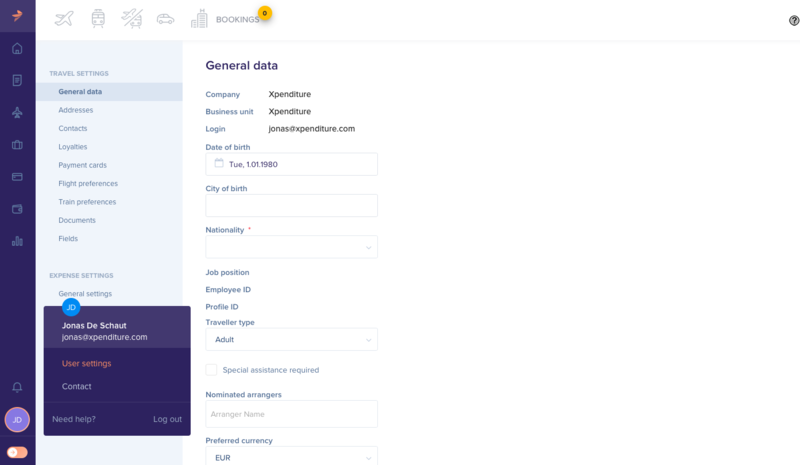 This information will be useful to our support teams when trying to reach you in the case of an emergency, updates or changes to your bookings, etc. In "Documents" please include your primary travel document(s). Oftentimes airlines require a valid passport in order to issue your ticket. Once you've filled out the required personal details, you are all set to start booking! Happy travels!